Since what feels like the dawn of time, it's been customary for the entire side of the Figueroa hotel - just down the street from the LA Convention Centre - to be draped in the livery of a big upcoming video game. 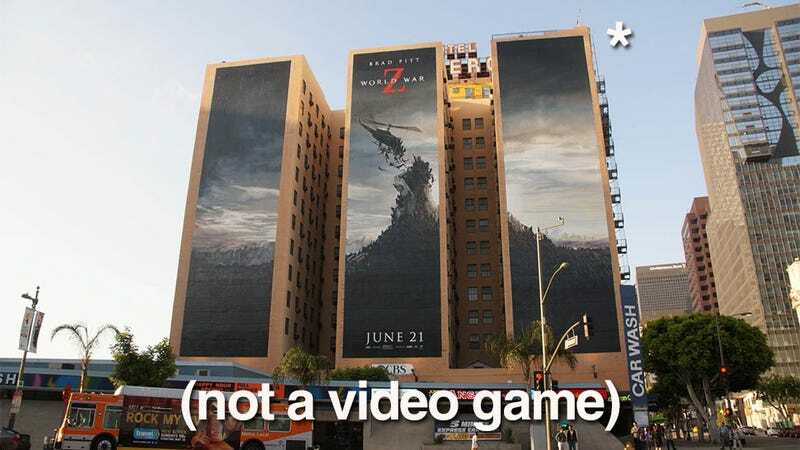 Skyrim, Max Payne 3 and Final Fantasy XIII are just some of the games to feature during the week of E3, but this year's honour goes to....World War Z. And not even a game adaptation of it. The movie itself. So long, video games. You had a good run.